Want more information about living with venomous creatures? Our certified specialists also have written handy fact sheets called POISONology, available on this site to read and download. You can also find us on Facebook. Our specialists post interesting facts and issues related to our calls. Venom: A toxin injected through a bite or sting. 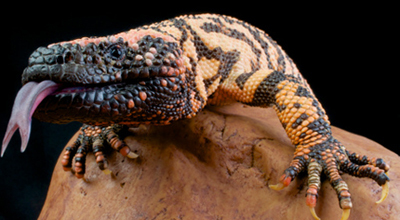 The Arizona desert is home to animals that are unique to the region. They inspire our awe for their ability to survive and thrive in a harsh, arid environment. But some of these same creatures also create fear because they can cause harm to humans through the venom, or poisonous secretions, in their bodies. Learn more about these animals and what to do if you encounter one. The Arizona Poison and Drug Information Center is home to a variety of rotating venomous creatures Follow us on Facebook for updates about our current guest critters.